Samsung is making its position strong and alluring it when it comes to the global Smartphone market share and they have set an aim to provide best tablets to the users as well. Apple on the other hand holds its tiara upright with its flourishing growth and products. 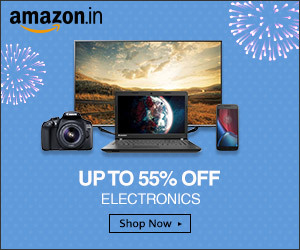 Two of the best tablets: – Samsung Galaxy Note 510 and Apple iPad Mini are making their way to sway away customer’s hearts. So when compared side by side and feature by feature, which tablet comes out on top? 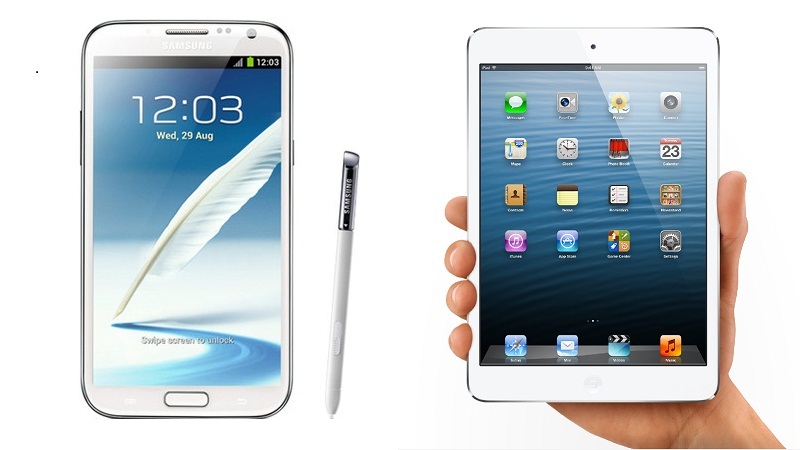 Talking about the dimensions, the Galaxy Note 510 is 210.8 x 135.9 x 7.95 mm vs. the iPad mini’s dimensions of 200 x 134 x 7.2mm. They both are thin tablets. The Note 510 weighs 338g vs. the iPad mini’s 308g weight. Considering the 30 gram weight difference, they still remain light and handy to carry. Overall, build quality is obviously better on iPad mini. The Galaxy Note 510 possesses an 8 inch IPS TFT screen with a 1280×800 resolution. It has 189 ppi of pixel density and sports a wacom digitizer for pen input. The iPad mini on the other hand flaunts a 7.9 inch IPS TFT screen with a resolution of 1024×768 pixels and has 163ppi of pixel density. They are both excellent in colour reproduction and viewing angles grouped with amazingly bright display for reading outdoors. The Note’s display exhibiting Wacom layer for the pen functionality takes away that extra point and manages to win on this aspect. The iPad mini is power driven by Apple A5 1 GHz dual core processor and dual core PowerVR graphics with 512 MB of RAM. Whereas, The Galaxy Note 510 sports a 1.6 GHz quad core Exynos 4412 Mali 400 MP with 2 GB of RAM. The Note 510 is a calling device with an ear piece. The performance is equally good on both ends with blazing fast speeds. So as for the performance aspect, it rather is a tie. The 5-megapixel cameras on the rear of both the iPad and the Note take decent pictures. The Galaxy Note’s features are a little better than the iPad Mini’s but both produce crisp and sharp images. The Note 510 leads ahead due to the camera app, which is far more vigorous than the Mini’s. The long list of remarkable options available for Samsung smartphones has been embarked on this tablet as well, from Exposure to filters to panorama to instant sharing with lacks on iPad’s camera features. Galaxy Note 510 takes a lead on the camera front. The Galaxy Note 510 could last almost two days depending on the type of usage if not too heavy. But you could any day opt for system settings and reduce the brightness or kill applications to save some battery from draining. On the other hand, the iPad Mini could hold in much more than this and provide a better battery backup. Battery life is an essential criterion, and iPad Mini takes its crown on this one. In the end, both are amazing tablets with splendid features. Looking through performance and features with a great camera, Galaxy note 510 takes the bow even it is rated slightly higher than iPad mini. The galaxy note 510 price in India is Rs 30,900. Get Samsung Galaxy 510 Note from Naaptol at discounted price.